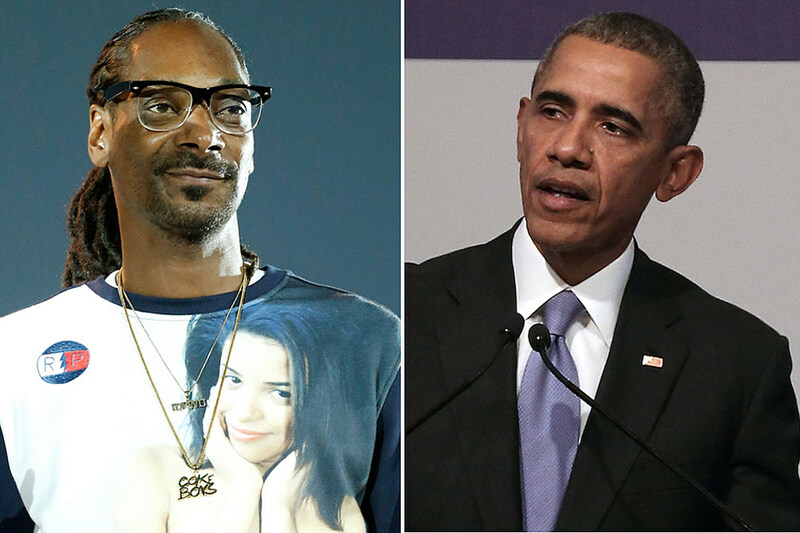 Snoop Dogg wants to send a shout out to President Barack Obama for a job well done. Specifically, the veteran rhymer wants to thank the president for “setting the tone” for whoever lands in office in 2017. And no, he doesn’t care who that person is. Snoop says he appreciates President Obama’s final year and is glad the president seems to be enjoying himself, and appreciates the vibe he’s set for office, citing Larry Wilmore’s loose speech at the White House Correspondents’ Dinner as an example. Neither Wiz or Snoop appear to care much about the impending election, in spite of Snoop’s open praise for the president, believing it will be politics as usual, no matter who lands in the White House. “I don’t give a f— about that s—,” Khalifa said.